Installation is just 1 minute away from the download. 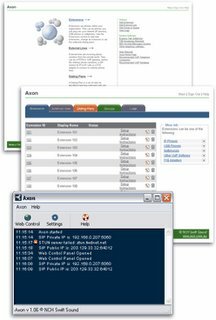 To test the PBX you may also want to install a few SIP clients such as Express Talk from the same company or X-Lite from CounterPath (http://www.xten.net/). If you already have a hard phone or an ATA you may connect those as well to your newly installed software.